If you read my last week post about my pledge to write in English every Fridays, you can find so many mistakes there. That is not a good thing to do, in my own opinion, to post with mistakes. But I make promise to myself to write in English more. I know you are afraid to write in English, to see people commenting on your post to show how many mistakes, but it is part of learning, That’s why I post this How to Write in English, so we, especially I, can learn more about it. So, if you have had follow this blog since January 2015, perhaps you still remember that on January 5th, 2015, me, Dani and Nita announced the Blog English Club where we can learn English together through challenges. 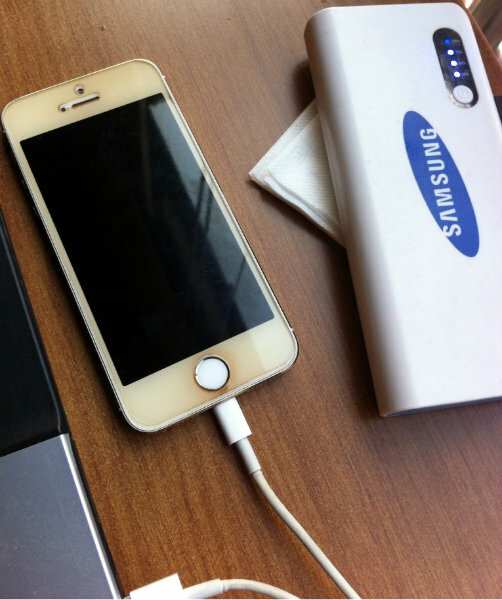 Now it is already May 1st, 2015 – the 5th month for Blog English Club and I was thinking last week, how come that I didn’t feel any improvement on my English? Where did I do wrong? And I realize that I only wrote in English for the English Friday Challenges from BEC. And not even trying to look for another way of learning English on my own. Or in English is like this: You can do it because you do it often. Yes.. that’s what I thought, I am not practicing English much in my life – even for writing in English. For example, about blogging – I am doing it frequently and reading many articles about blogging, how to engage more traffic, what kind of article that people are looking for, and so on, but apparently I didn’t do much for English. Before, perhaps I did practicing it during my work at Liberia. As now I am not working there anymore, I seldom use English on a day-to-day life. That’s why I pledge myself to write more in English – not a short article, I need to engage myself to new form of English articles, reading it and writing it more often. So this is my “How to write in English“. I hope the infographic can help on making the “How To” much easier to read. Please inform me if there’s a mistake on the infograph. This is the first thing you need to know when you want to write in English. Yes, I know that it is easier to write in Indonesian first. Get all of those ideas on your head in sentences but this is not the best practice to write in English. 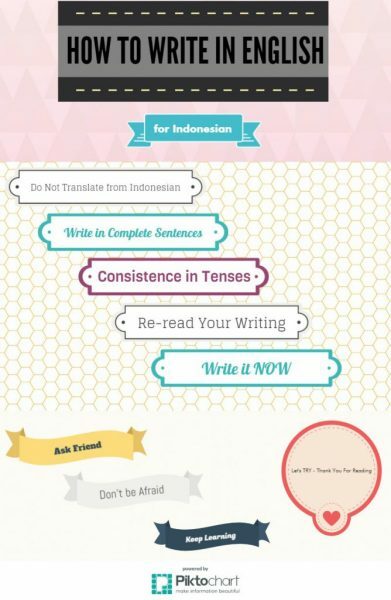 Indonesian has different grammar structure and usually using a passive form sentences. While in English, you need to do differently. Most of writing in English are using an active form. And believe me, translating from Indonesian to English is much more harder to do – it really takes time. We have to develop a habit to write in complete sentences – at least the simple one: Subject + Verb + Object. If we have difficulties in writing a parent-child sentences type, don’t write it then, just use the simpler one. It will evolve through your habit as time goes by. 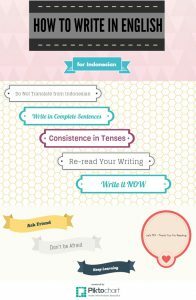 This is about what type of tenses that you use in your writing. If you are using present tense, use the present tense throughout the writing. But you have to know also what type of tense usually use for each type of writing. For example, for fiction, you have to use past tense form. Okay… for this matter I want to take you back to my last week’s post about English Friday is Here. I didn’t re-read my writing. Thus, as you all can see, there are so many mistakes on that one. Re-read or proofread is one thing that you really need to do each time you write, not only for English writing – any kind of writing. Just like when you make report, you boss usually check your report first before submitted to the higher boss, right? That’s re-read and proofreading. Yes… all those four steps above will be useless if you decide not to write, at the end. I mean, just put yourself into one determination that you want to write it. No matter what happen. Write it, share your knowledge about yourself or even Indonesia through one thing you can, your blog. I know that many of us afraid to write in English, not because they are not able to write it but mostly afraid of what people will say. Some might say that I am arrogant because I am writing (or speaking) in English. This is a bad environment for people who want to learn. So, one major thing I want to remind those who wants to write in English – BE PREPARED for any statement from surroundings. You have to have great determination to keep on in motion of writing English. Don’t be afraid for something good in your life. As I mention in the infographic also, you need your friends. Try to ask your friend to remind you if you make mistakes on your writing or even to remind you that you have to write in English. I am sure many friends understand if you ask them about it also. And perhaps you can ask your friend to learn English with you. Well, that’s how to write in English from my point of view. So, what is your how to write in English? I seldom write in English lately, Mas :haha. Maybe because I think I don’t have much time for doing so–or simply, because I don’t know what to read. But I think that writing in English a little bit won’t hurt, right? :hehe. Semangat, Mas! Ayo terus berlatih agar makin jago berbahasa Inggrisnya :)). Lah mang napa kamu gak nongol lg di grup. Aku wa jg gak balas. You are not alone Dita. I am also not confidence enough when I made the pledge. But we have to conquer ourselves right? I see that you are trying to keep up with all the challenges. That is good thing. Let’s learn together. Just write it mas Rodin. What I got from the g+ group is that: delivered your message first. Grammar could be your barrier and not writing in English. But we have to read more English articles to learn. About grammar and everthing. You are very welcome mas. Thank you also for your advice on youtuber. You can do it Nia. I think I am the one who do GN on your post mostly. Hahahaha. Duhhh postinganku dah jarang in english nih lately yan…. Yahhh. Ayo jangan malas. Hehehehe. Yes Mbak Monda. It really does. Thank you Ira… let’s write more. Nice post Ryan. Sometimes, I’m still afraid to write in English because my grammar is not good. Hehehe. As I am also Grant, but I believe that many will correct me if I have grammar mistakes :d just like last week. Great article! Hopefully it will inspire many many people to write in English more. Btw I have a question. Is it consistence or consistency? Ooo… Did I use it right Rina on my post? From a Q&A website, i read that both nouns exist and have the same meaning. Consistence however is now rarely used. It’s only safe to say that we are now accustomed to read consistency to refer a steady, firm principle/form. Or yeah..something like that 😀 i ramble too much now! Better hold my tongue and get going. Hehe. I like it when you ramble Rina. Thank you. Haha..good thing that you like me rambling 😀 cause you wouldn’t like me when i’m angry (yeah i know, that’s Bruce Banner’s line). Haha. Wewwww. You would be like him? The hulky? Hehehe. Ow. Wonder Woman. Spinning and changing into the costumes. And the whip. You are really bad Rina. Hahaha. I didn’t remember she had a whip! Wow..i like being her even more. Hahaha! Her weapon is a whip hahahahaha. The one in the infograph Dan? Hmmm… I also confused but I used consistence because I used Verb for the others also. 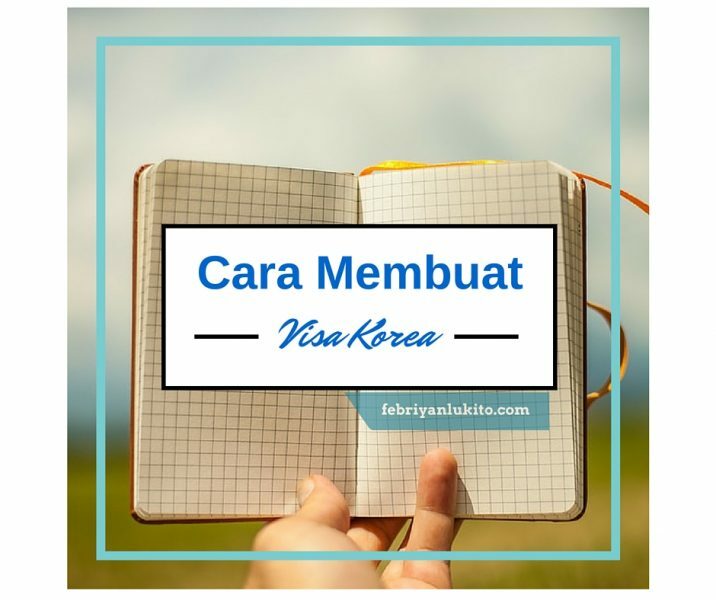 Aku awal ngeblog posts ku sering pake English. Begitu join BEC baru ketemu banyak bloggers Indonesia, br mulai sering post Bahasa Indonesia hihi. Nice infographic, Mas Ryan. We aren’t native speakers, that’s why we have to keep learning. Dan spt yg Mas Ryan blg, don’t be afraid to write in English. Just write! Haha. Wow. You were writing in English before? Hmmm. How did you manage writing in English before Icha (aside from just writing it). Yeah most of my posts, karena waktu itu kan gadak temen blogger Indonesia ? Just convey your thoughts, proofread it after writing. I often checked englishforums.com or other sites when I was confused about the difference between two words. And I personally write what I’m passionate about. 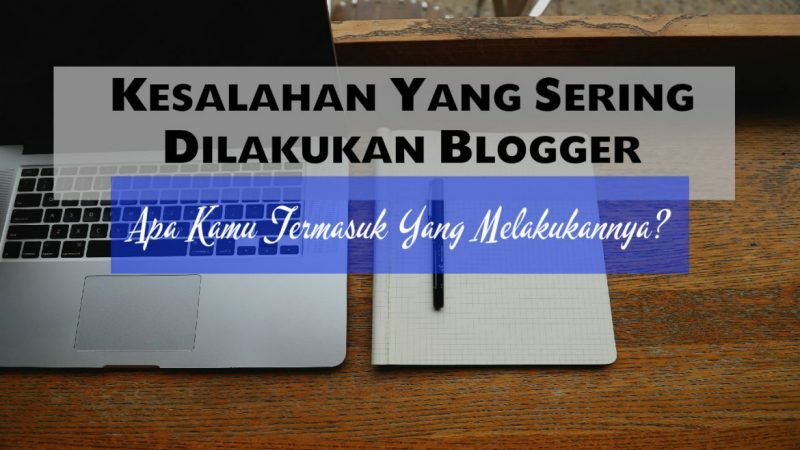 Mas Ryan mgkn prnh baca post ku yg aku suka nulis ttg football di awal ngeblog. Selalu belajar lah intinya. Vocabku kurang banget ? Ah yes, I remember that you really love football. Why don’t you write about it again Icha? So, write what in your mind and proofread it before you publish it. Thank you for the input Icha. 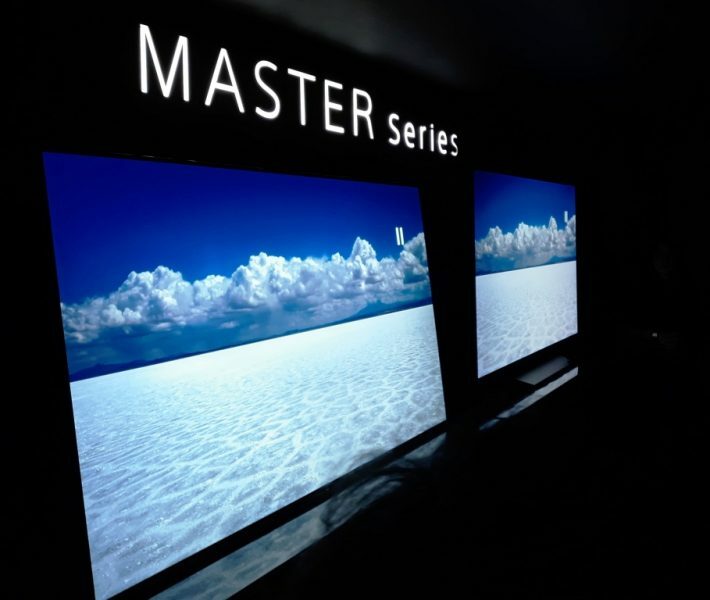 Performa United naik turun, aku jadi sedih mau nulisnya ?? Tp kpn2 bakalan nulis lg. You’re welcome, Mas Ryan. And read many English articles and books will help too ? Thank you for your information Icha. Iya. Gara2 BEC malah gak Inggrisan lagi yak. Hmmm. I agree that writing in english should be done in… english, and translating from indonesian can be harder than writing english from absolute zero. However, i still found that it’s still hard to write english in proper grammar and tenses. One more thing that i think may enhance the writing skill is read many english texts. Ah thank you Rina for sharing it. 4 basic comprehensions. Hmmm. Need to know about it more now.